For the third time (previously in 2012 & 2015) I traveled at the behest of the Mission Board to visit our missionary in Timor and present lectures at the Seminary where he teaches (the place is known as STAKRI). Now that I’m homeward bound, I’ll try to get some of my experiences and observations to paper for the benefit of the congregation. The family is doing well and send their warm regards to the brothers & sisters in Smithville. Little Aizaach is certainly keeping his parents and his siblings on their toes with his boundless energy and insistence on freedom. Perhaps a good thing there are some older siblings to assist in containing this loveable bundle! And those siblings love their role! Our brother and sister are looking forward to their upcoming trip to Canada; the (older) children, on the other hand, are a bit apprehensive at the need of stepping out of their comfort zone and taking the plunge to meet (again) new people and do new things. I guess there’s no surprise there! The Lord willing, the Dethan family will be with us from August to October. The family has settled happily into their new home. It’s a comfortable home, with sufficient space for the family, and strikes me as a happy blend of Indonesian and western characteristics. Aside from having their own home (finally! ), the big advantage for the family is that they can now actually function as a family, without always having others (from New Hope Orphanage or from the street) on their doorstep. For a growing family, that’s a distinct advantage. Aside from connecting with and supporting the Dethan family, the purpose of my trip was primarily to teach at the seminary at STAKRI. The Smithville Mission Board, under the instruction of the consistory, had years ago already decided that a minister from the sending church or one of the supporting churches (that’s Grassie and Lincoln) ought by turn to help out at STAKRI once per year. Rev Dethan asked that I teach a course on the Doctrine of the Last Things (officially called Eschatology) – that being the elements of doctrine concerning the return of our Lord Jesus Christ. I spent each week day morning teaching from 8:30-12:00, two lectures per morning followed by a Question & Answer session. The student body I taught numbered between 60-70 persons. No, I did not speak in Indonesian; I’m too afflicted by the effects of the Tower of Babel for that, and so I leaned heavily on Rev Dethan as he translated my instruction sentence by sentence as I delivered it. After lunch I poured myself into preparing for the next day’s lecture. Then at 5 PM I was back at STAKRI to summarize the morning’s lectures for Radio Sahabat, for an hour-long program entitled “What does the Bible say”. According to Rev Dethan, some 6000 people from Kupang and the surrounding areas regularly listen to this program. The idea is that the speaker present material for some 15-20 minutes, then the audience is given an opportunity to ask questions on that material. Then a second 15-20 block is granted the speaker, followed by another call-in opportunity. Typically the program lasts an hour, but if there are an abundance of questions the music section to follow is simply deferred till the questions are answered. It’s true Indonesian style – time is elastic! This was my first engagement with public radio, but I must admit that I did enjoy the challenge. Rev Dethan has been laboring in Timor for some 15 years with the mandate to preach the gospel with a view to instituting churches. Under the Lord’s blessing, there are now some 10 instituted churches governed by their own consistories (together with a handful of preaching points); these ten churches have formed themselves into two classes and last year met together in a General Synod. They have given themselves the name Reformed Churches of Indonesia – Timor (Gereja Gereja Reformasi Indonesia – Timor = GGRI-T). There are already GGRIs on the islands of Sumba, Papua and Kalimanten Barat, which together form one church federation; these are sister churches to the CanRC as well as to the Free Reformed Churches of Australia. The mission churches in Timor chose the name GGRI-T because they want to join that federation of churches. They’ll be lodging an application for admission at the next General Synod of the GGRI. To me (and indeed the Mission Board in Smithville) this is a very exciting and gratifying development. It does mean that the Timorese churches recognize the need to get to know the GGRIs of the surrounding islands and vice versa. That was one reason why Rev Dethan took me to Sumba (neighboring island) 12 hours after my arrival in Kupang. We met a number of GGRI leaders on Sumba. Just before I left Kupang for Australia we also spent an evening with Rev Madah Biha, a minister in the Sumba churches pastoring a congregation of Sumba (and Savu) migrants in Kupang. From various sides I learned that the peoples of the various islands are in fact from different tribes and so have different characters. As the historical tribes of Holland (different provinces) had to learn to appreciate each other’s different characters and strengths, so these tribes still need to learn to work together. So it will undoubtedly take time, perhaps a generation, before a united GGRI federation can actually function fruitfully. Thursday, May 10, was Ascension Day – in Indonesia a national holiday. Though the country is strongly Muslim, here’s a healthy leftover of the colonial period when the Dutch exercised considerable impact on social, economic and religious life. The church close to the seminary had a service planned for 7:30 AM (before it gets too hot; daily temperatures topped at around 32°), and Rev Dethan insisted I preach. So beside preparing the lectures for the next day, there was that sermon to prepare too…. It was after this service that the men got up to prepare a coffee for their ladies…. With coffees in hand, a social hour got underway, and it was obvious to me that the congregation appreciated being together. As I was busy Thursday afternoon preparing for the next day’s lectures, Rev Dethan received word that the founding elder of the church in Oelusapi had died that afternoon from tuberculosis. Because of the temperatures, the funeral of necessity must occur within 24 hours. A request followed that Rev Dethan come to conduct the funeral. As he was my translator for the lectures at the STAKRI, he insisted that I come along to Oelusapi, a drive of a good two hours. Experiencing a Timorese funeral was quite the experience. It was heartwarming to note that this funeral was conducted in a distinctly Christian fashion, with no residue of pagan practices – something Rev Dethan also greatly appreciated. I should share that as we were following the casket (carried on bamboo poles on the shoulders of four young men) to the cemetery a good mile away, a middle aged man approached Rev Dethan to thank him for his sermon and to tell him that that sermon convicted his heart. He’d been a drunk for years in response to the hopelessness of life, and now wanted to join the Church where he’d heard a message of hope. Before I left Timor this man had already made work of his intentions – but since in lived in a jungle village some distance away from Oelusapi, could the local elders please come to his village and tell his family the same gospel of grace he’d heard at the funeral. That sort of thing, Rev Dethan told me, happens more often – and no one knows today how the Lord will work with that lead in the months to come. Rev Dethan makes a point of visiting the outlying churches from time to time, and on Sunday, May 13 he was to be in the church of Pili for a baptism and a profession of faith. Again he requested that I do the preaching; the Ascension Day sermon from previous Thursday would do well for the morning, and could I do a Catechism sermon for the afternoon. A most enjoyable experience! These jungle people have very little of modern technology, but they have no problem following a normal (=Smithville style) sermon – and again they obviously really enjoy each other’s company. The 50 or so of us had lunch together at a congregant’s home, with everybody contributing what they could. After the second service Rev & sr Dethan opened their box of over-the-counter medication to provide the ailing in their midst with some relief. That’s a challenging and under-appreciated angle to the work of our missionary and his wife! After the lectures were completed on my last day in Kupang, representatives of the student body came with a token of appreciation for the work done. That’s of course very heart warming. But what really blew me away was that someone placed a stack of books on the table – the first volume containing Articles 1 to 7 from the book I’d written on the Belgic Confession, The Overflowing Riches of My God, in Indonesian translation! They had timed the publication of the first volume to coincide with my presence so that I could personally sign a number of copies and then give copies to each student who’d attended the recent Eschatology lectures. That was indeed a highlight of the trip! Prior to this publication there was no Scriptural commentary on the Belgic Confession available in Indonesian. I find it such a privilege that the work I could do in one language and culture of God’s world finds a function in another language and culture. How amazing God’s ways! Perhaps you’ve seen some record of the event on Instagram. Some years ago the Smithville Mission Board made the decision that when someone travels to the mission field in Timor on behalf of the Mission Board, he ought also to stop over in Perth, Australia, to connect with parties from the Free Reformed Churches of Australia who are doing mission work in the same general area of Indonesia as we are. According to the Mission Board, it is imperative that we be up to date on each other’s developments and are on the same page in our plans. So I (as Rev Wynia also did last year) spent a long weekend with the brethren in Western Australia. I met with three parties who have separate mandates in relation to helping to build up the churches in Indonesia. The outcome of the conversations was very positive inasmuch as it became abundantly clear that we are all indeed pushing in the same direction, and doing so with mutual respect and appreciation. 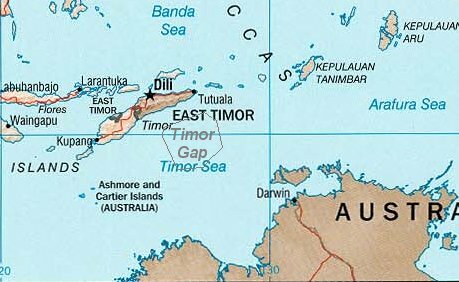 That’s the more gratifying because over the years there was some hint of suspicion in Australia about what Smithville was doing in Timor; after all, there are already faithful churches of the Lord, so why would Smithville want to establish another federation…. That question was overcome by the recent decision in Timor to seek to join the existing GGRI federation. As far as the Australians were concerned, the Timorese churches could distinctly be a blessing to the GGRIs on Sumba, Papua and KalBar. That’s also my hope and prayer. Perhaps not surprisingly, I took the opportunity to connect with numerous members of the two congregations I served while we lived in Australia. It gave reason for deep gratitude to observe how so many of those once in my Catechism classes have become devoted spouses and parents, and office bearers and leaders in the churches too. It’s humbling…. Well, I’m finishing this Bit to Read in HongKong airport, with a view on the tarmac and the mountains surrounding the city. Shortly I’ll need to board for the long flight to Toronto – some 15 and a half hours, over the North Pole. To be honest, I look forward to getting home again, and into the tasks that await there. It’s again been an invigorating experience to participate directly in Smithville’s mission work, and helps to give perspective to the work back home.